Hail, King Gaiman! 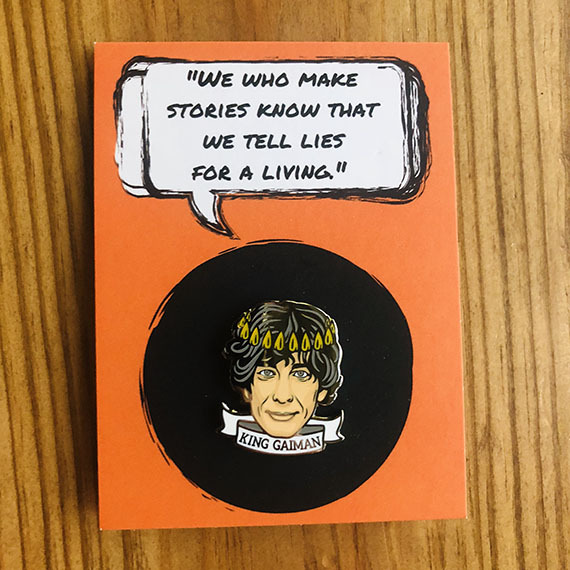 We adore these quality Neil Gaiman enamel pins, made exclusively for our shop. Grab one for your writing bag and keep the Lord o' Writing Inspiration close at all times.